Modern range of managerial office chair able to cover every needs of the office. Five Net has simple shape and remarkable technical quality. The backrest designed to support in a proper way the chest uses, a mesh to improve comfort and transpiration, while the lumbar support guarantees a ergonomic and correct support. Technical contents combined to chromatic features conveys Five Net as a chair of certain success. Defined lines, essential shapes and wide functionality are remarkable details for Five range. 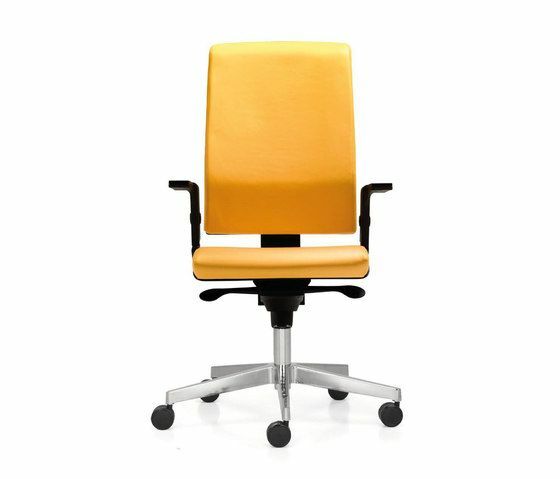 Perfect for advanced operative environment and semiexecutive offices as well, this chair ensures versatility, simple and precise regulation, wide possibility of customise. The padded and upholstered backrest is available in three different heights, different structures complete the range: 5 spokes aluminium base or black polypropylene and cantilever for the meeting and guests chair.